You may have seen many websites where you can submit your job vacancy, freelance work and much more. 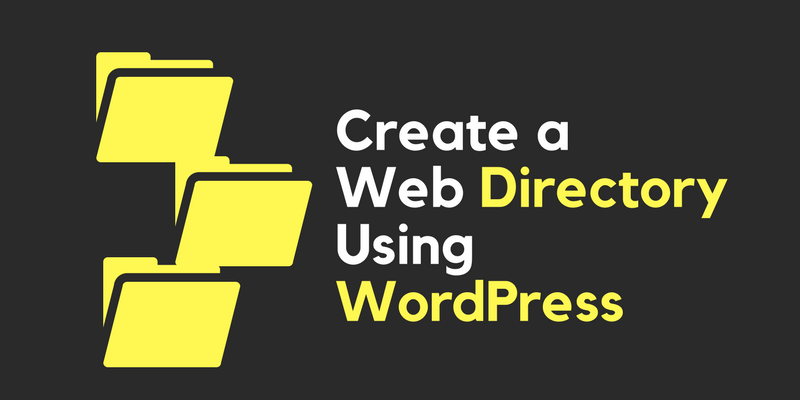 You can also create a web directory using WordPress within no time. Everyone likes to build a business which can be worth millions and a small idea can change everything. If you Google about the business directories, you would be surprised to see the total revenue. Well, you can also be one of them if you conduct it properly by starting a new website. And nothing is better than WordPress CMS right now. It gives you full freedom to handle the premium submission to your directory. You can easily create a web directory using WordPress without having any coding knowledge. You may already know how to start a WordPress blog. There are a few things required for every self-hosted WordPress website. Many people confuse it with the fully-hosted version. You’re also confused, you should read this comparison of WordPress.org VS WordPress.com. Let me mention the things you need. You already know that the Domain Name is the name of your website. 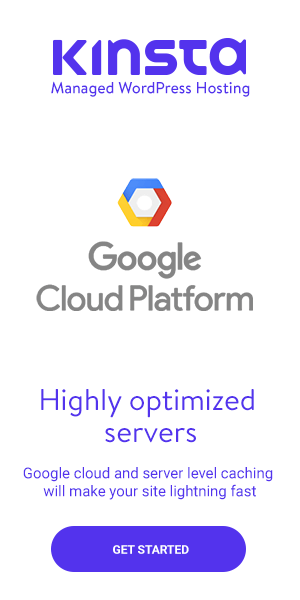 You can buy it or have it from any Web Hosting company. 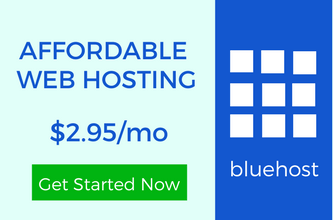 Buy your web hosting from Bluehost or InmotionHosting and get one free domain name for one year. It may be hard to search for a WordPress theme in its repository. Though there are many free themes still, you need something better. Search for something which can fit your web directory. If not, you can hire a web designer who can design a professional website for you. Contact Us for the services. But if you’re going to buy any premium theme from the market, you should check it properly. Buy the one which can fulfill your requirements. As you know, there are thousands of plugins available in the WordPress plugin repository. You just have to install and activate Business Directory Plugin. Just after activation, you will see a notification to create required pages. 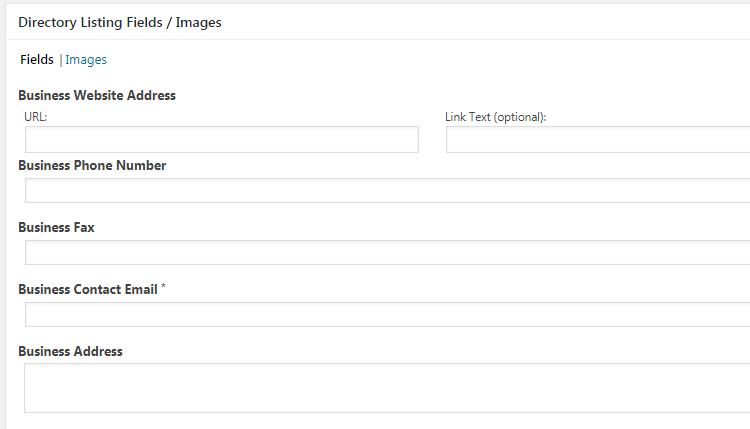 Click on the “create required pages for me” and the plugin will create the Business Directory page. For more plugin settings, you have to go to Directory>>Directory categories. It’s because without creating any category, how would people submit their entries? It’s just like creating the categories for your blog posts. You have to add the title and the category slug. Click on the add category button and you’re ready to go. Add as many categories you want. For example: Freelancing, Part Time Jobs, Full Time Jobs, Hire Me and many others. 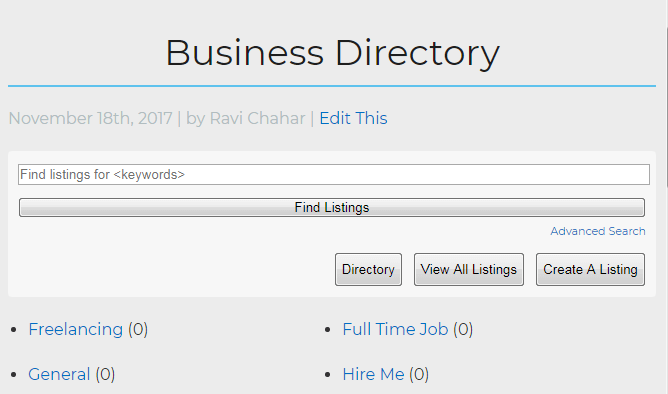 Now you have to add the “Business Directory” page anywhere on your website. Open it and you will see all the categories you have created so far. The users can submit their entry using the “Submit A Listing” button. You can also add the entries manually from your WordPress dashboard. Just go to Directory>>Add New Listing. It will look like your post editor but if you scroll down, you will see a lot of options. You can add the business name, the business website and every possible detail including the address. Once you finish adding all the details, just click on the publish button. To create a web directory using WordPress, you may also want to make money. For which, you have to start accepting the payment. You may have seen many business directories where you need to pay a few Dollars. Once you build an amazing website, you can also charge people to submit anything. To do so, you have to turn on on the payment. 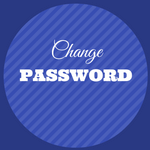 Just to go to Directory Admin>>Manage Options>>Payment and check the checkbox. After the official announcement by Google, you should also choose the HTTPS option. You can enable the SSL certificate on your website using many ways. And there are many things you should do after activating the SSL certificate. By default, the plugin supports the Google Wallet but you can also integrate with other payment platforms like PayPal and Stripe. When you enable the payment and save the settings, you may also see a notification to set up the payment fees. Just go to Directory Admin>>Manage Fees and scroll down. You can see a field to add the amount you want others to pay you for every single entry. Save the settings and your business directory is ready to make money. After having a look at this guide, you may have gotten some idea how to accomplish your goal. After settings up everything, you need to promote it. You should know that the promotion and branding are the key elements to build a successful business. 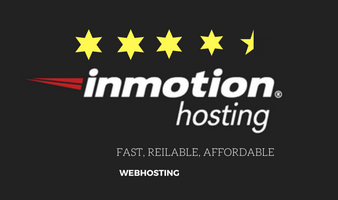 Having a reliable web hosting is also one of the most important aspects. Many people make mistakes and buy a web hosting with many downtimes per year. Before you even think about buying, you should read the reviews and buy according to your traffic expectation. Apart from that, setting the plugin isn’t so hard. You can easily do that. I hope you can easily create a web directory using WordPress. I hope you liked the article, you can follow us on Twitter, LinkedIn, and Facebook. done in a given period of time. Web directory type of websites can be very helpful for both – the webmaster and user. It is a great business idea. It is good to know that you can build such website with the WordPress platform. I know there are many plugins you can use to build this. I have not seen the one you are mentioning here. I’m definitely going to check this out! A well guided tutorial for creating a web directory site using WordPress. All things like setting the plugin, business directory page creating, category selection and payment option setting are clearly guided nicely. Anyone who want to setup business directory website, must follow this post. Thanks a lot for sharing this tutorial and have a nice weekend. I have done this before and i put it on my homepage in my previous website and all i can say is that it is not easy to handle a web directory website and google dont like to index a website directory. do it at your own risk.